PARIS (AP) — African artworks held in French museums — richly carved thrones, doors to a royal kingdom, wooden statues imbued with spiritual meaning — may be heading back home to Africa at last. French President Emmanuel Macron, trying to turn the page on France’s colonial past , received a report Friday on returning art looted from African lands. 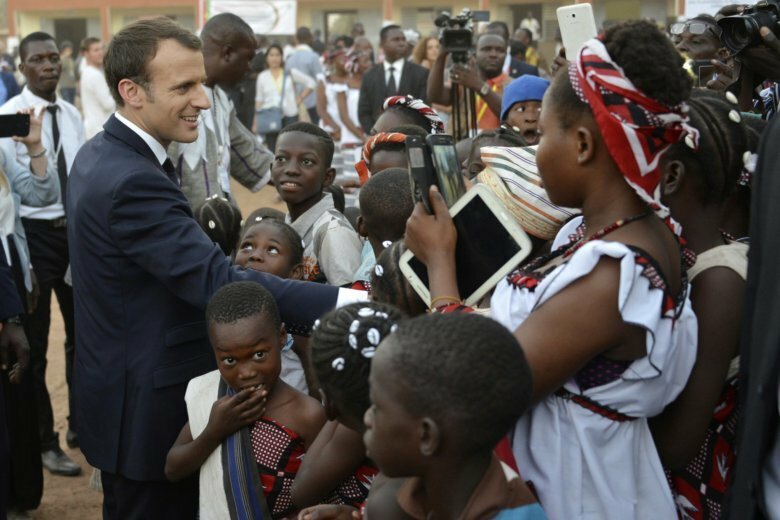 From Senegal to Ethiopia, artists, governments and museums eagerly awaited the report by French art historian Benedicte Savoy and Senegalese economist Felwine Sarr, and commissioned by Macron himself. It recommends that French museums give back works that were taken without consent, if African countries request them — and could increase pressure on museums elsewhere in Europe to follow suit. The experts estimate that up to 90 percent of African art is outside the continent, including statues, thrones and manuscripts. Thousands of works are held by just one museum, the Quai Branly Museum in Paris, opened in 2006 to showcase non-European art — much of it from former French colonies. The museum wouldn’t immediately comment on the report. Among disputed treasures in the Quai Branly are several works from the Dahomey kingdom, in today’s West African country of Benin: the metal-and-wood throne of 19th-century King Ghezo, the doors to the palace of Kign Gele, and imposing, wooden statues. The head of Ethiopia’s Authority for Research and Conservation of Cultural Heritage, Yonas Desta, said the report shows “a new era of thought” in Europe’s relations with Africa. The report is just a first step. Challenges ahead include enforcing the report’s recommendations, especially if museums resist, and determining how objects were obtained and whom to give them to. “I cannot accept that a large part of African heritage is in France,” he said at the time. Germany has worked to return art seized by the Nazis, and in May the organization that coordinates that effort, the German Lost Art Foundation, said it was starting a program to research the provenance of cultural objects collected during the country’s colonial past. Britain is also under pressure to return art taken from its former colonies. In recent months, Ethiopian officials have increased efforts to secure the return of looted artifacts and manuscripts from museums, personal collections and government institutions across Britain, including valuable items taken in the 1860s after battles in northern Ethiopia, Yonas said. In Nigeria, a group of bronze casters over the years has strongly supported calls for the return of artifacts taken from the Palace of the Oba of Benin in 1897 when the British raided it. The group still uses their forefathers’ centuries-old skills to produce bronze works in Igun Street, a UNESCO World Heritage Site. Ogbemudia warned the new French report should not remain just a “recommendation merely to make Africans to calm down. Elias Meseret in Addis Ababa, Ethiopia; Babacar Dione in Dakar, Senegal; Sam Olukoya in Lagos, Nigeria; Baba Ahmed in Bamako, Mali; Edwin Kindzeka Moki in Yaounde, Cameroon, and David Rising in Berlin contributed to this report.